The legalities of real estate selling in California | By Real Estate Company Woodland Hills, Sync Brokerage Inc. If you’re putting a house on the market in California, it’s necessary for you to know of the numerous things you have to do legally. Completing the mandatory disclosures and keeping in line with the appropriate procedures will both aid the swiftness of the transaction process, and assist in preventing possible liability to the purchaser after the deal is closed. The legal code in California makes it mandatory for those selling to write down and present to prospective purchasers, each and every component of the real estate being sold can possibly prohibit the buyer’s want or the amount that they’re okay with paying. These factors regarding the state of the property normally go by the name of “material” facts, and a dealer can be presented with serious repercussions if one is not written down. 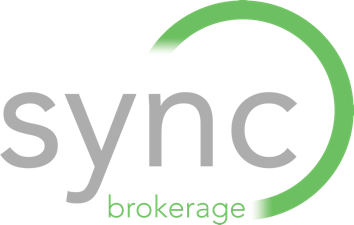 Sync Brokerage, Woodland Hills real estate, with good amount of real estate experts will advise that you should typically disclose a concern if you’re conflicted as to whether or not you should. In the state of California, material facts are normally handled by filling out a form called a “Transfer Disclosure Statement,” or “TDS.” This form is meant to correctly detail the property’s state, involving specifics about the property’s structural assets, or technical systems. Remember that any component that can potentially affect the value of the property should be documented as a material fact. Ask your real estate broker for a TDS form. When your California house is purchased, a title company will complete a title analysis and record a Preliminary Title Report. The purchaser will be provided with title insurance from the title insurance company according to the PTR. Those lending will make this title insurance mandatory as a part of providing finances for the purchaser’s loan. In most cases, the person selling and the person buying will come to an agreement on a title insurance company and title company-- most often the original preference of the buyer. Be aware though that federal law makes it illegal for a seller to make it mandatory that a purchaser utilize a specific title insurance company as part of the deal. You are able to bargain and compromise with your buyer about who is handling title insurance expenses. Normally though in the northern region of California, the person purchasing takes care of the payment and in Southern, the seller does. In some cases, both parties will divide the expense. Local tendencies can differ from county to county. Your real estate broker will know the customs in your area. Escrow agents are often used to make the sales process easier. The buyer puts funds in escrow and the seller deposits the deed in the same trust. All finances will be safely kept by the company until everything is carried out and terms are fulfilled. At this point, the escrow agent has the job of delivering the deed to the customer and the funds to the seller. In the Southern region of California, escrow duties are normally handled by an individual escrow company. In the Northern region of California though, the title company will in most cases carry out the duties of the escrow agent. Like before, both sides of the transaction are able to decide who carries out and who covers charges for the escrow maintenance. The customs of each location differs. The buyer will normally offer the suggestion of an escrow holder in the purchaser’s original proposal. While decisions are able to be made together, it is illegal for sellers to force the purchaser to use a set escrow holder as part of the deal. When property is exchanged from the original homeowner to the buyer, a file needs to be documented at the recorder’s office of the county to display and proved proof that there is new ownership. When this is documented, a tax for the transfer is enforced. This is a unique tax given by your county and potentially the city after housing property changes ownership. The payer of this tax is decided on by both parties. The industry standard for the most part sets that in Northern California, the one selling normally handles costs. In that state, the transfer tax in the county is one and one-tenth dollar for every one thousand dollars of the price, or .11%. Certain areas, involving some of the major cities of the region, take up a city transfer tax as well. For instance, L.A. has a .45% transfer tax set in place. This means that if you put a home on the market in L.A. priced at half a million, the transfer tax for the county will come up to five-hundred and fifty dollars. The transfer tax employed by the city would be significantly higher at two-thousand two-hundred and fifty thousand dollars. If you would like to know about your city’s transfer tax or as to whether or not one is enforced, as well as who typically handles these fees in your area, your escrow agent or real estate broker should know.